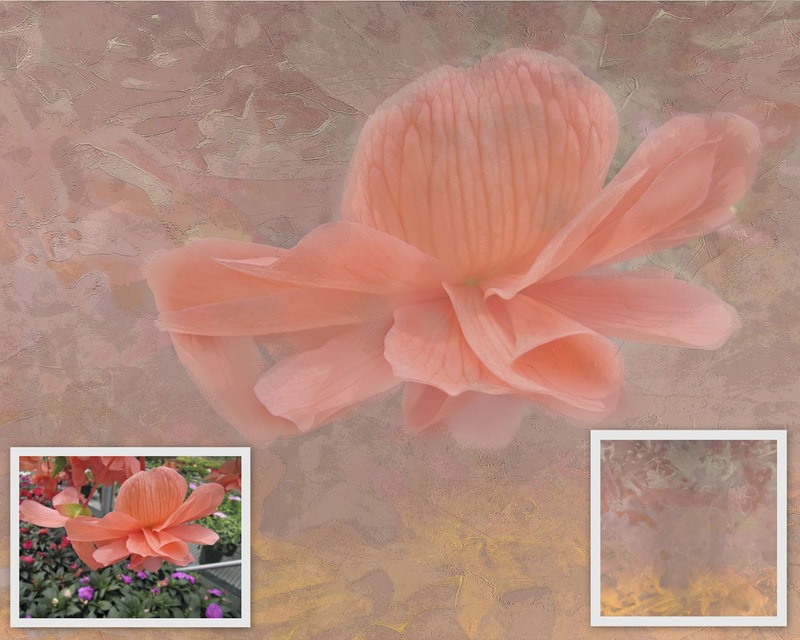 Pixel Dust Photo Art: New Mini-Set Textures Have Arrived! None of these new sets are groupings of a series of similar textures. Rather, each set is a little potpourri of different textures, a medley or assortment of textures. I know I don't always want a bunch of similar textures from a themed collection. This way, each set gives you perhaps a scripted texture, a bokeh texture, a transparent overlay, a scratch texture, a light-lit texture, etc. etc. For a close up look please visit the shoppes! Just click on the tabs under the header. 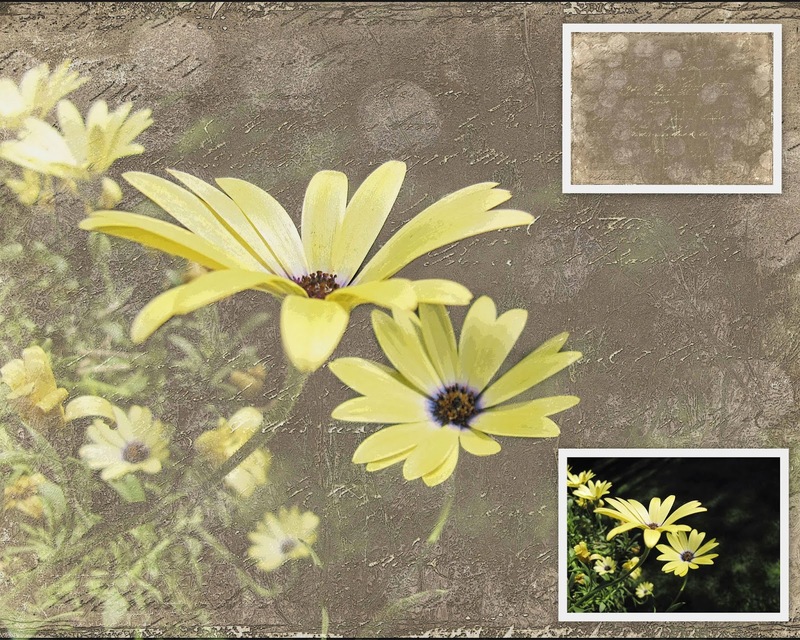 Below you will find some of the new textures from these sets applied to my photographs. But first the basic editing recipe I used for all of the images. Basic edits to photograph such as Sharpening, Levels Adjustment (to add or subtract light), Saturation Adjustment (when required). Blend texture and photograph. I usually use either Multiply, Darker Color, Screen, Overlay or Hard Light when applying textures. Adjust down the Opacity of the Blend. This is a subjective edit that depends on taste, the effect you are trying to achieve and the photograph itself. Layer Mask. 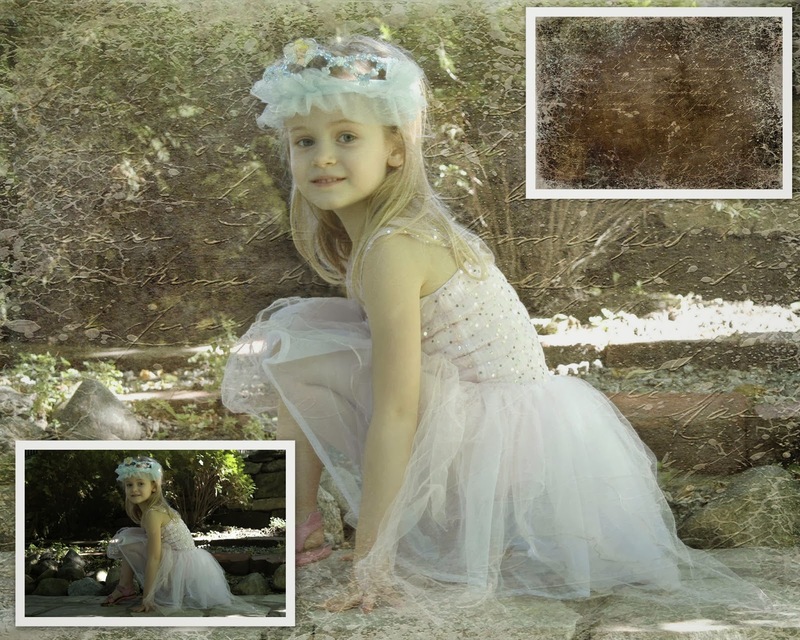 Use a Layer Mask to remove some texture from areas of the photo where you don't want it. I always reduce the opacity of my brush before starting to remove texture - sometimes as low as 20%. This gives you more control over the amount of texture you remove. Evaluate the result and make any further edits that could enhance the image such as: Sharpening again (low opacity), Levels Adjustment (to bring in or reduce light). Sometimes I add the Filter "Poster Edges" and I like to lower the opacity to less than 33%. This adds a subtle, professional finishing touch. This is an old photograph taken from a moving car. You can see the dirty car window in the original photo if you look carefully! 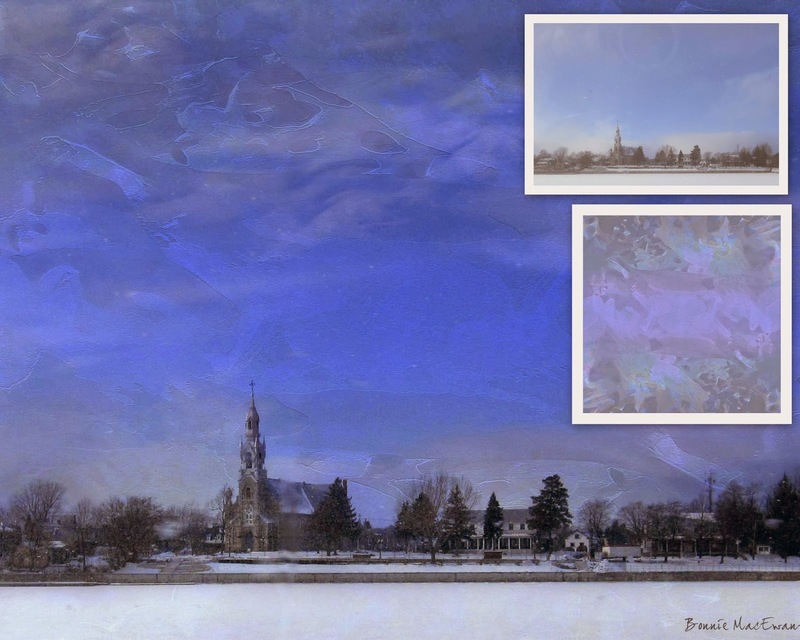 With the addition of a texture, the sky is given a dramatic flair and a drab photograph becomes a sweet piece of art! The texture is pdpa Blue Rhapsody from the Crystalline Quartet Texture Set. It is G.R.E.A.T. for skies! This photograph received a levels adjustment and 2 gradient fill layers to lighten and soften the background before the application of the texture pdpa Incomparable from the pdpa Artist's Compliment Texture Set. This texture is a version of one of my all time favorites. It just never fails to make a piece of photo art look wonderful! pdpa Sunset Skies texture from the pdpa Crystalline Quartet Texture Set was applied after photo was edited (2 gradient fill layers to make background soft and faded). Texture blended in Darker Color at 60% opacity. Layer Mask removed texture from flower and a very light application of Poster Edges applied. 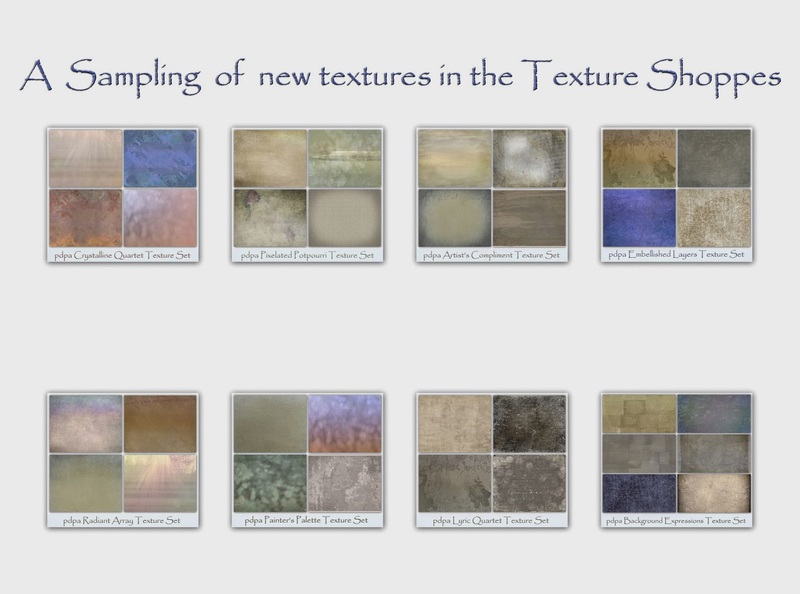 I'm hoping these above examples of the new textures applied to photos will tempt you to go to the Mini-Sets Texture Shoppe and see if there is a new set there that you just have to have in your personal texture library. but as always you can share any piece of photo art that you are excited about.